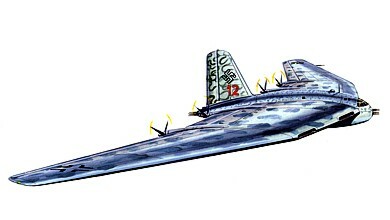 In May 1942, as the war situation worsened, the design bureaus of Focke-Wulf, Junkers and Messerschmitt all sought to develop a long-range bombers which could be able to carry 4000 kg bomb load into U.S. air-field, where they could mount bombing raids against targets along America's eastern seaboard. The main target for such attacks was to have been New York. One of the designs was the Messerschmitt Me.P.08-01. 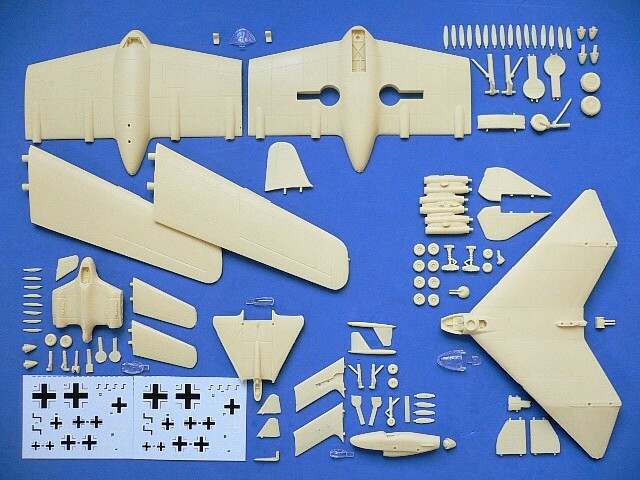 The original Me.P.08-01 project started in September 1941 as a long-range bomber, reconnaissance, tactical large-capacity transport, airborne anti-aircraft platform and tug for towing gliders. Combined with this wide variety of roles, the proposed flying wing configuration which would offer a good climb and combat performance was used. The fuselage and crew cabin were faired almost completely into the center-section of the wing. But on March 1943, the RLM issued a decree forbidding all further work on heavy bomber projects under the threat of the severest penalties. The Messerschmitt Me.P.08-01 is suitable to group with the following collection series.